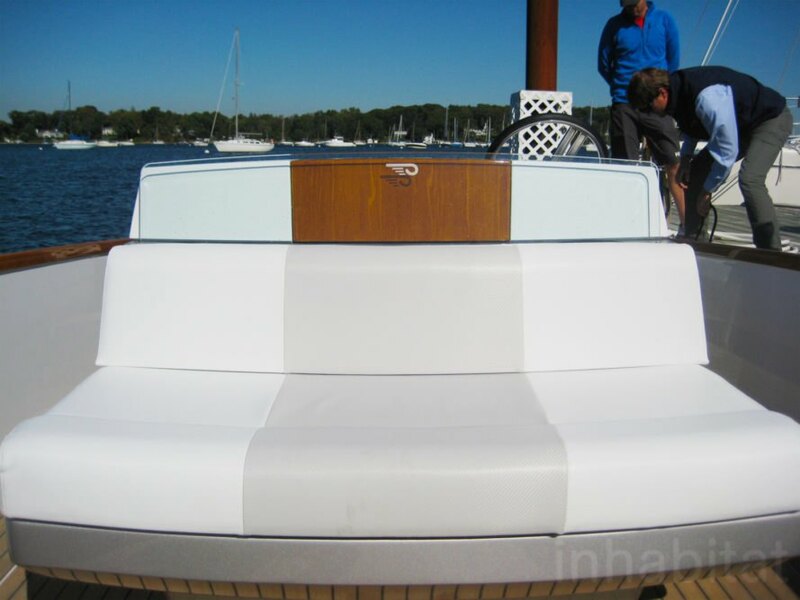 Imagine silently slicing through the Long Island Sound on a yacht, wind tousling your hair. That peaceful vision is possible with Hinckley’s new Dasher yacht, which they say is the world’s first fully electric luxury yacht. 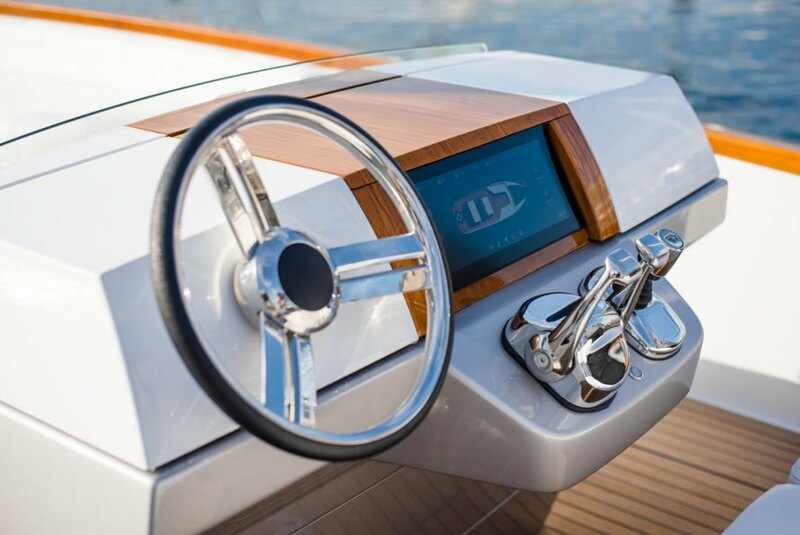 Inhabitat took a ride in Oyster Bay recently, and we were amazed at how quiet the boat is – thanks to twin 80 horsepower electric motors and waterproof BMW i3 lithium-ion batteries. Chief Marketing Officer Peter Saladino and Director of New Product Development Scott Bryant hosted us for a trip on the new zero-emissions Hinckley Dasher this week. Dasher is completely powered by electricity. Before we started slicing through the water, Bryant actually had to tell us the boat was on and ready to go – that’s how quiet it is. 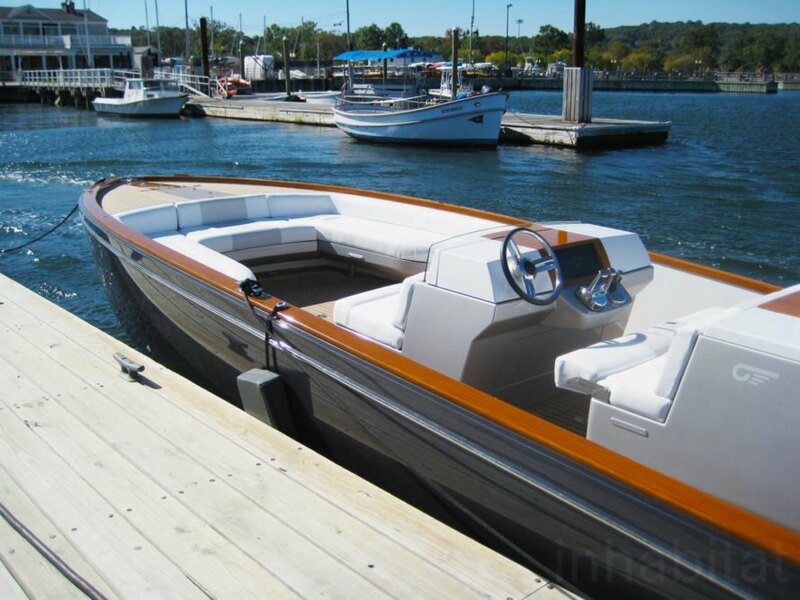 “Hinckley started building boats in 1928. 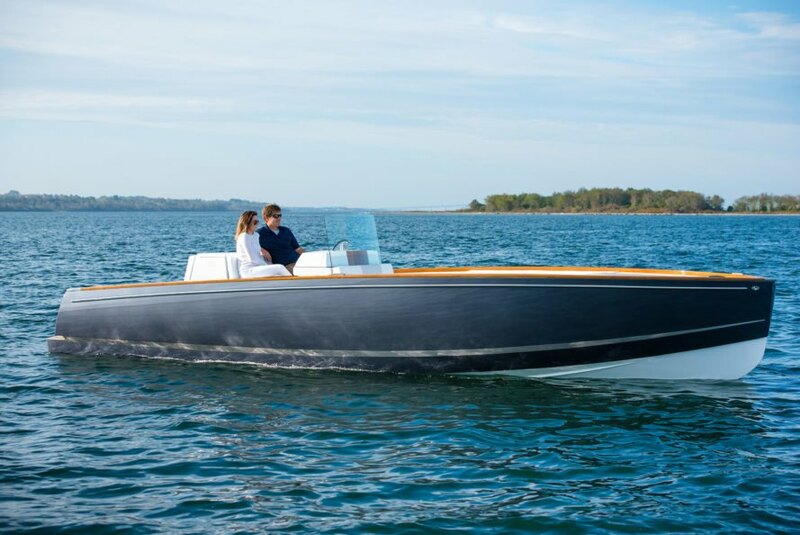 We’ve been known for building timeless boats built in the Maine tradition, and we’ve always been known for not just innovating for the sake of innovating, but using technology to augment the user experience,” Bryant told Inhabitat. 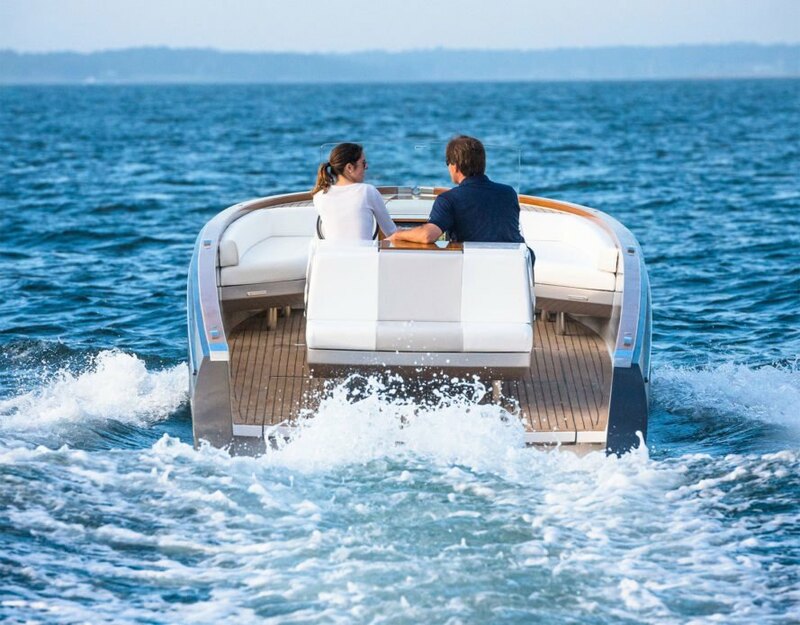 The 28 foot, six inch electric yacht cruises through waters at speeds of 10 miles per hour (mph), though it can reach fast cruising speeds of 18 to 27 mph. At the 10 mph cruising speed, Dasher has a range of 40 miles. At faster speeds, its range is 20 to 25 miles. The experience isn’t impeded by noisy boat motors; a gentle waterfall-like sound from the boat’s wake can be heard as the yacht moves through the water. It can be charged back up in four hours with dual 50 amp charging cables. The electric car movement currently suffers from a lack of charging infrastructure, but that’s not an issue with electric boats. Charging ports already dot docks so yachts have a source of electricity for lights and other features aboard; Saladino pointed out the ports were plentiful on the docks where we took a ride on the Dasher. He also said Dasher can be charged with 30 amp cables if a dock doesn’t have the 50 amp cables; it will just take a little longer. A touchscreen on the console allows the captain to easily see their travel radius before they’ll need to recharge the batteries on a map. The console also conveys what percentage of battery power remains. Hinckley is accepting orders for Dasher, which they plan to deliver next summer. 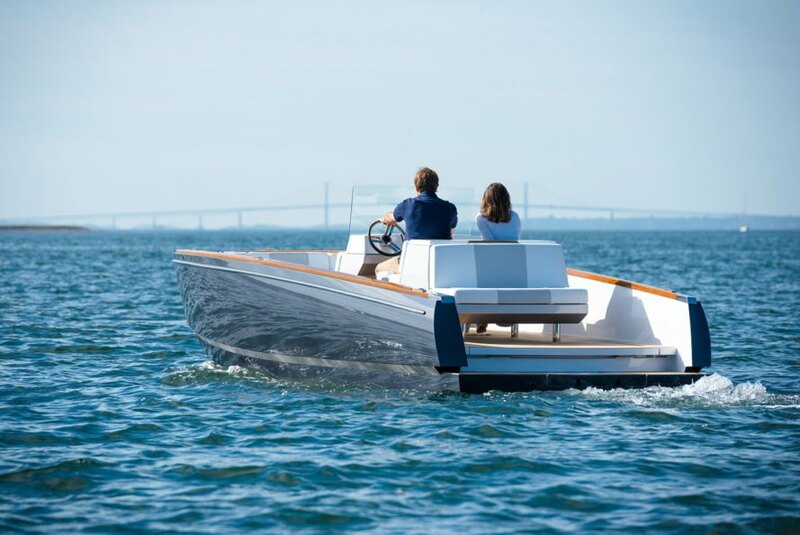 Rhode Island-based yacht company Hinckley is debuting their fully electric Dasher. Dasher is quiet thanks to two electric motors. Dasher has a range of 40 miles with a 10 mile per hour cruising speed. 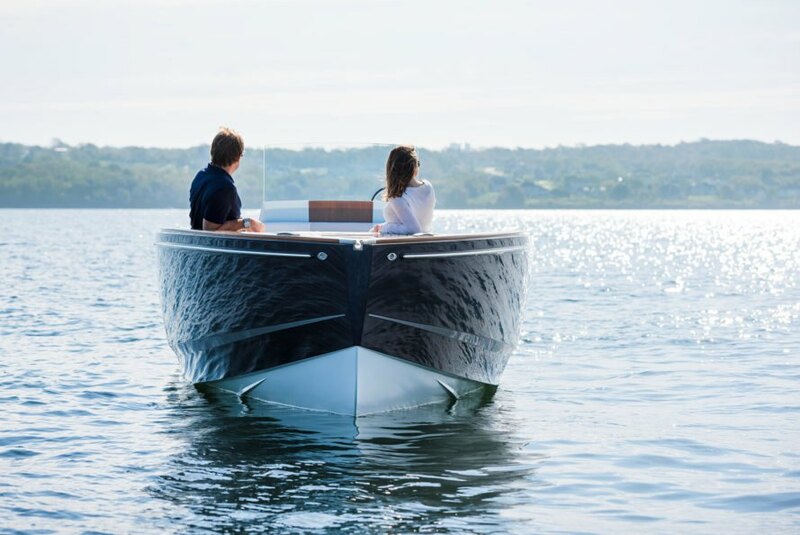 Dasher is a zero-emissions yacht. A retractable windshield lets the captain spend more time with passengers. 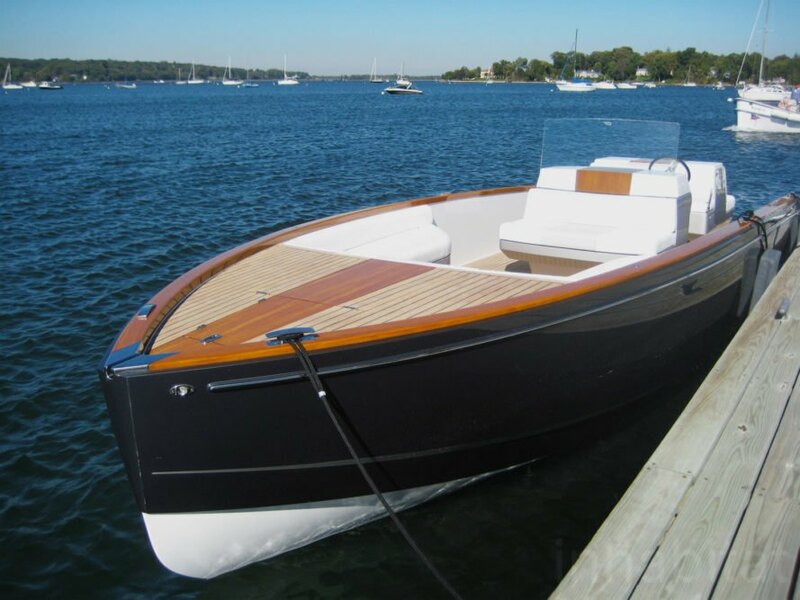 Hinckley has been building boats since 1928. 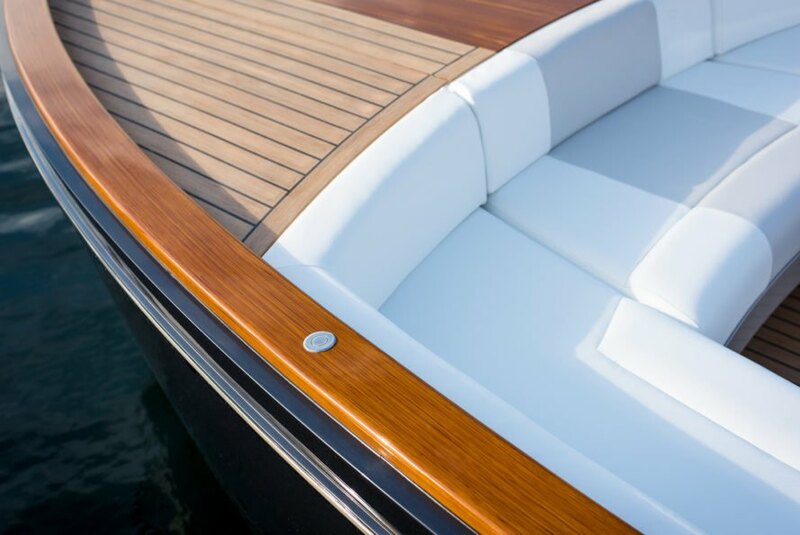 Hinckley is debuting artisanal teak, what they call a hand-painted epoxy composite, with Dasher. Hinckley 3D-printed some components of Dasher. Dasher is 28 feet, six inches long. Inhabitat checked out the boat and took a ride in Oyster Bay. The open layout allows guests to spend time together. The boat's batteries can be recharged in around four hours. A gentle waterfall sound can be heard as the boat slices through the water. Imagine silently slicing through the Long Island Sound on a yacht, wind tousling your hair. 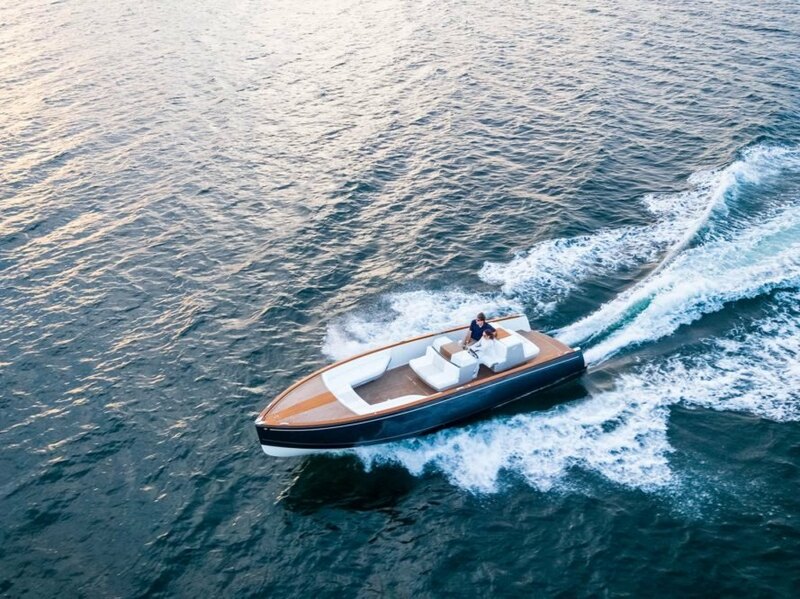 That peaceful vision is possible with Hinckley's new Dasher yacht, which they say is the world's first fully electric luxury yacht. Inhabitat took a ride in Oyster Bay recently, and we were amazed at how quiet the boat is - thanks to twin 80 horsepower electric motors and waterproof BMW i3 lithium-ion batteries.